I started about 3 months ago actually. I love being able to discuss books with other book lovers like me. No one in my home life likes to read like I do. Except my daughter, but now she reads less since she got older and has a boyfriend. 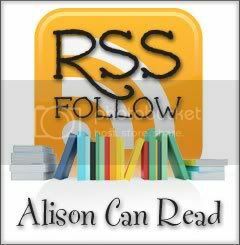 (she is 19, so too cool to talk books with mom now) also the new discoveries I have found from my fellow bloggers. That list would be very long, so I will just mention my top ones, lol. All CassandraClare’s The Mortal Instruments Books, and Infernal Devices. And a fewnew books I really love are: Jennifer L. Armentrout’s Covenant series, and her Lux series. The list could go on, but by looking around my blog you can see what I like for sure. Mainly some of the new friends I have met, and really appreciate the books I get to review, as my money situation is not good, so buying books was hard for me, I had to save what little I would get to buy books, and trade off what I did have, for new ones. I love that I can get a book for a review, granted many are ones I may not ever have discovered if I was not asked to review, but have found some books I really liked and enjoyed, and am eager for the sequels, so I think that overall is one thing I really like, is the new discoveries. 9th grade - To Kill A Mockingbird, although I also really liked Jane Eyre. 10th grade - Les Miserables. We read the abridged version. Some day I want to read the full version. 11th grade - Huckleberry Finn. My memory of the 11th grade reading list is actually a little thin. But I liked this one. 12th grade - The Iliad. I've also forgotten most of the books I read this year but I loved The Iliad. We actually never had to read To Kill A Mockingbird in school. I did read Jane Eyre though and enjoyed it. A lot of the ones you have listed were not required reading for me. It is going to be interesting to see which novels show up most often. I honestly don't remember the names of any of the required reading titles for school, so I went for one of my personal favs. Great Choices though! I forgot about Huckleberry Finn, that's one of my faves too. To Kill a Mockingbird was one of my faves too! And I can't believe I forgot about Jane Eyre! Hello! I'm new to the Follow Friday Hop, and just came over from Parajunkee's. Great to meet everybody, and indeed, excellent choice with the Iliad (though I only really appreciated it during my second run through a few years back). Off to browse the other blogs! Hmm.. The only one on your list that I had to read was Huckleberry Finn and I was not a happy camper about it lol. I also chose Les Misérables. I still have the paperback copy of the abridged version that I read many summers ago. I'd like to read the complete version someday, too. Ah, I loved The Iliad! It wasn't required reading for a school class, though. And I've actually managed to read To Kill a Mockinbird twice as an assigned book, once in 9th grade and once in 11th—I switched schools. To Kill a Mockingbird and Huckleberry Finn were on my required reading list too but I couldn't tell you what year I had to read them. I listed Gone with the Wind as my favorite but I also loved The Good Earth, Of Mice & Men and The Grapes of Wrath. i love that you did this by grade. each year i have a stand out in my mind. To Kill a Mockingbird is on my list too. wow I can't believe u remember those by year. my high school years were a blur mostly cuz I couldn't wait to get out. I'm new to the Blog Hop. I loved To Kill a Mockingbird. It's on the top of my all time favorites list! The only one out of the ones you listed that I read was To Kill A Mocking Bird. It was okay but I don't remember much of it. Old follower. To Kill a Mockingbird is on my list too. I also enjoyed Huck Finn :) nice list, though I have yet to read Les Mis.. it's on my TBR though! I also still haven't read the Iliad. The only epic I've read to date is The Aeneid. hopping through! Old Follower. Have a great weekend! When I was at a homeschool fair, I begged my mom to let me read Jane Eyre. *sigh* I couldn't get through it. As part of the curriculum for it, I had to answer weekly questions based on the chapters I read. Couldn't get through it, so my best friend at the time told me all the answers because she watched the movie. Sadly, it worked! My hat is off to you for enjoying it! I'm not sure if I'd read Iliad back then. I'm kinda forgetful. :P But I like Mythology. :) Greek and Roman's story really gets to me. Oooh I agree on To Kill a Mockingbird, Jane Eyre (trying to remember if I read it for summer reading or on my own), and Huckleberry Finn. I've never read the other two. I did read The Odyssey but it definitely wasn't for me back then. I think I'd like it better now and may have to re-read some day and also try The Iliad. It's funny that most of our answers are the same. I'm glad that most DO like classics because sometimes they get such a beat down being that they are "required" readings. I'm the other feature over at PJ - books are my reality :0) Old follower! I love To Kill a Mockingbird. It is one of my all time favorites. I wasn't required to read any of those in school. I'm new to Blogging, and this feature so I thought I'd sign up to have some fun. Miss Vain actually recommended me to this Meme. I joined into my first Meme this week, so I'll see how I go with it! Oh I didn't think of The Iliad, but you're rigtht, I loved this one. I haven't read any of those yet, I really must though! You have an amazing memory! I read Hunkleberry and The Iliad in college instead and did enjoy them. Great picks! I didn't care so much for the Iliad because it was so long and only took place in a short amount of time, but I loved The Odyssey and it's still one of my favorites. One of my book loving friends has a great graphic novel of both books. They are really cool because of all the crazy illustrations. I'm also a huge lover of Les Mis. I think I've seen every movie and musical adaptation on tv, though the book is the best. I also read Huck Finn in 11th grade and I really liked it- we didn't read any of the others but we had to read The Odyssey in 9th. I haven't had the pleasure of reading any of those books in school but at least I can make up for it as an adult! To Kill a Mockingbird, definitely. A great book! I'm starting to see I was also part of the never had to read To Kill a Mockingbird crowd. I do remember having to read 1776 and Great Expectations and absolutely hating those books. I'm at a point in time where I could reread 1776. My dislike of Great Expectations is too immense though. Interesting reads, especially to kill a mockingbird. I forgot about Huck Finn! I think I kinda liked that one. Haven't read the others, though. I do want to read To Kill a Mockingbird eventually. I really wished I was to read more though High school required to. Though I got to pick my book to read in 9th grade between two books I do not remember having to read another book in High school years or for that matter durning my middle school either. I forgot to add thanks for stopping by my blog! I'm a new follower too! Reading the unabridged Les Mis has been on my to-do list for over a decade. One of these days I'm going to get to that. Thanks for stopping by my blog this week! Wow, you're lucky you enjoyed a book each year! :D I'd say out of those, Huck Finn and the Iliad are my favs. I never had to read To Kill a Mockingbird. Seems like almost everyone did at some point. I did read it as an adult, and I can see why it's a good one for a class read. Thanks for visiting! Thank you for stopping by <3 I loved Iliad as well, though I didn't read it at school!